Back when I was at Parsons, a lot of emphasis was put on making sure that people understood exactly what it is that designers do. When the sole purpose of your profession is to communicate, your job title should do just that, and “graphic design” doesn’t do a great job at communicating that purpose, or at least it only tells part of the story. I get asked all the time, what does a graphic designer do? My alma mater’s answer to this question was to call our major course of study “Communication Design” since that’s, in essence, what we do. There is a distinction between Graphic Design and Communication Design, even if they are used interchangeably most of the time. The average person has probably never heard of Communication Design, but Graphic Design is familiar. Graphic Design deals mainly in the realm of visuals and how the visual are created, with an inaccurate general assumption that graphic designers “just make things pretty”. Communication Designers go beyond the visuals by taking a message and finding the best possible ways to communicate that message to its intended audience. A lot of times this is done visually but not exclusively. When working within the context of a brand identity, this message needs to permeate not only the way your brand looks, but the way your brand feels as a whole. A lot people assume that everything I do is done on the computer, and much of it is. In order to be good at what I do, my toolbox needs to go beyond just creating graphics. Photoshop does not a designer make. A communication designer uses readily available tools with a purpose, but also employs all means of communication, including writing, concepting, information architecture, and user experience, just to name a few. In the quote above, when they reference “traditional skills of the hand” they are referring to the actual tools communication designers utilize to get a message out there. Many of which involve industry standard tools and software, including Photoshop, Illustrator, InDesign, etc. Designers should know the principles of layout, typography, color, production for print and digital media, and understand the importance of traditional methods like putting pen to paper to sketch ideas, and have a basic knowledge of photography, and methods of illustration. 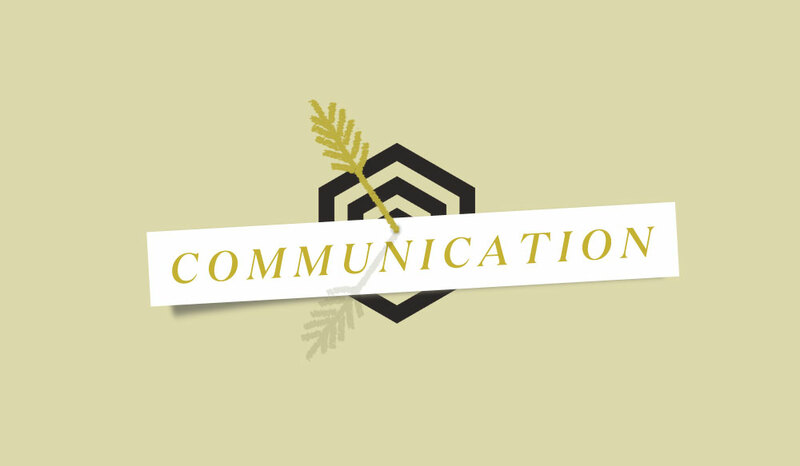 Communication design as a whole, encompasses an entire message, so one of the most basic skills is that of storytelling and how the message will resonate with its audience. This skill is refined and shaped by life experience, from studying other masters of their craft including filmmakers, writers, architects, painters, illustrators – the list goes on and on – and how they are telling stories. Through an understanding of people, history and culture, communication designers know how to pull out the important bits to create something exciting and relevant, not just pretty.